Sadly, all things must come to an end. With end of support coming up for SQL Server 2008 and 2008 R2, use this document to help you make a smooth transition and learn about the new features arriving with SQL Server 2017 and Azure SQL Database Managed Instance. A lot has changed since 2008. Over the past 10 years, Microsoft has spent its time making huge improvements to their server offerings, including hybrid cloud platforms, robust security, and advanced analytic capabilities. 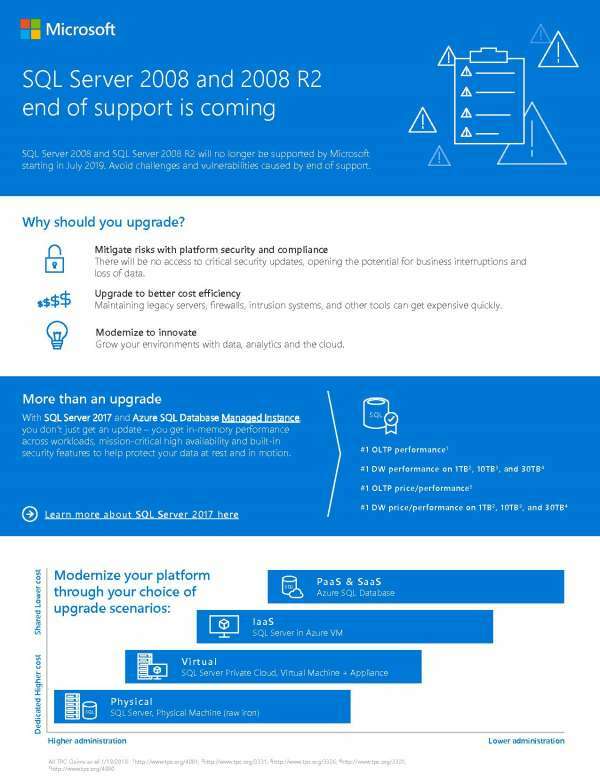 Now, with end of support for SQL Server 2008 and 2008 R2 on the horizon, it's time for you to experience these new advancements. At Breakpoint Technology, we know that change can be scary! That is why we're here to help you through a smooth transition. Contact us to start the process today.